Keeping close tabs on electricity usage can help householders understand their energy usage and identify where they can cut costs. Thanks to recent improvements in technology, many energy retailers now offer its customers access to a myriad of online account management tools to help its customers do just that. Rising prices of electricity and the growing popularity of time of use tariffs have made it tricky to keep costs low. These apps and online tools are designed to equip proactive customers with information on how they can reduce their power bill. Online management tools have opened up a range of possibilities, including tracking energy usage, managing payments, updating your details and even remotely controlling select devices. We take a look at what online management tools are available and who’s offering them. The rollout of smart meters is changing the energy retail landscape. While originally marred with health and privacy concerns, smart meters have become the new standard in many areas, providing consumers improved insight in to understanding and managing their energy usage. “Smart meters provide data that enable customers to make choices about how much energy they use by allowing them to access accurate real-time information about their electricity consumption. Smart meters are a relatively new technology. Victoria first introduced them as part of a mandatory rollout commencing 2009. Their use has now spread to large parts of South Australia, New South Wales and Tasmania, finding their way in to residencies and small businesses. Energy retailers, meanwhile, are utilising the information provided by smart meters to in turn provide their customers a more in-depth understanding of electricity usage via interactive online account management services. Energy retailers offer a range of tools across most devices, be it phone, tablet or desktop – most of us should be able to access our online account. Customers of this online-only energy retailer have access to the Powershop mobile app and online tools. These features allow customers to keep track of how much electricity they are using and how this will cost them. Powershop states that its tools can even provide insights into what times and which activities are driving power usage. Customers with basic meters can enter their readings online to help track usage, while for customers with smart meters, Powershop sends usage information via email in a weekly update and a monthly statement. AGL, operating in Queensland, New South Wales, Victoria and South Australia, provides customers a range of online account management tools. These allow its customers to view and pay bills, to monitor energy usage, updating personal details and much more. My AGL IQ is AGL’s energy reporting tool, available for customers with basic and smart meters, providing for customers to monitor energy usage. 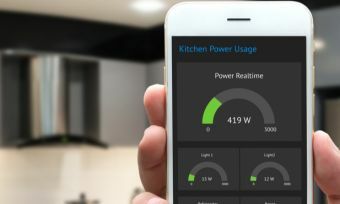 Among its services, My AGL IQ allows customers to track how much energy is being used, compare their usage to similar homes, build a personal energy-saving action plan, complete a home profile to receive more targeted energy saving advice, and set goals and track performance against them. Customers with smart meters that are not manually read have their energy usage updated daily and can monitor their usage in 60-minute intervals. Mojo Power, providing electricity services for New South Wales customers, provides a smart meter upgrade with two of its plans. Mojo customers who sign up to its Plus+ and Premium EnergyPass are able to view real-time energy usage data via their MyMojo account. “This means you can check your usage and bills on your phone, just as much as you check your Facebook,” Mojo states. As Mojo notes, this data can provide consumers the opportunity to learn and change their household behaviour. Origin Energy, operating in the Australian Capital Territory, New South Wales, Queensland, South Australia and Victoria, provides its customers with a range of online services, from viewing billing history and paying bills, to updating details or finding a new energy plan. Origin’s home energy profile provides an estimate of where customers use the most energy and at what time of the year. Origin uses this information to forward its customers energy tips, advising them how they can save. 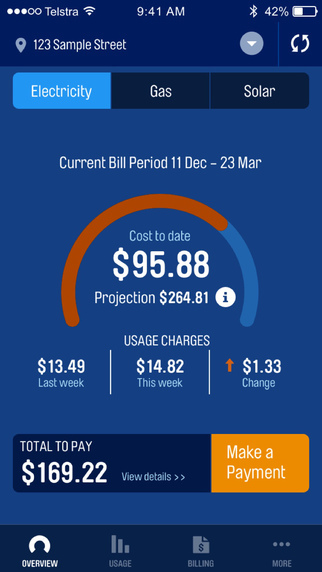 Smart meter customers additionally have access to Origin’s Energy Manager, which keeps track of the customer’s costs to date, and can predict the amount of the next bill based on current usage. Are you considering all services? Energy management technology is a fantastic way to keep on top of your power bill, but customers need to ensure they consider everything their retailer has on offer before signing up. Remember that these apps and devices will not on their own save you money. They merely equip you with the knowledge on how you can take action to reduce your bill. Consumers interested in having a smart meter installed should check with retailers in their area as to availability and the process for installation.